Every musician dreams that one day someone will appreciate the time and effort they have put in to learn the instrument of their choice. 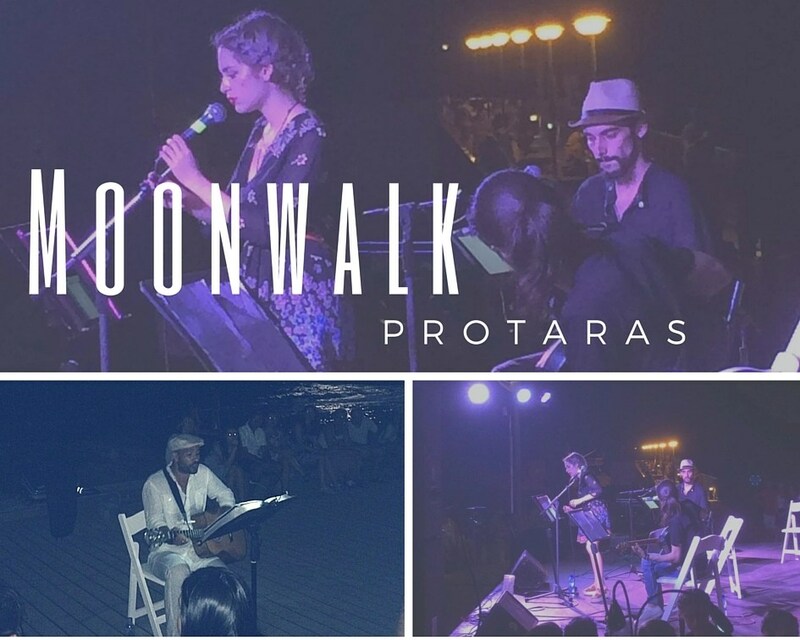 As the X Factor kicked off in the UK last weekend, the busy town of Protaras – one of the hottest tourist destinations in Cyprus – staged a Moonwalk music festival from the boardwalk it shares with Pernera. 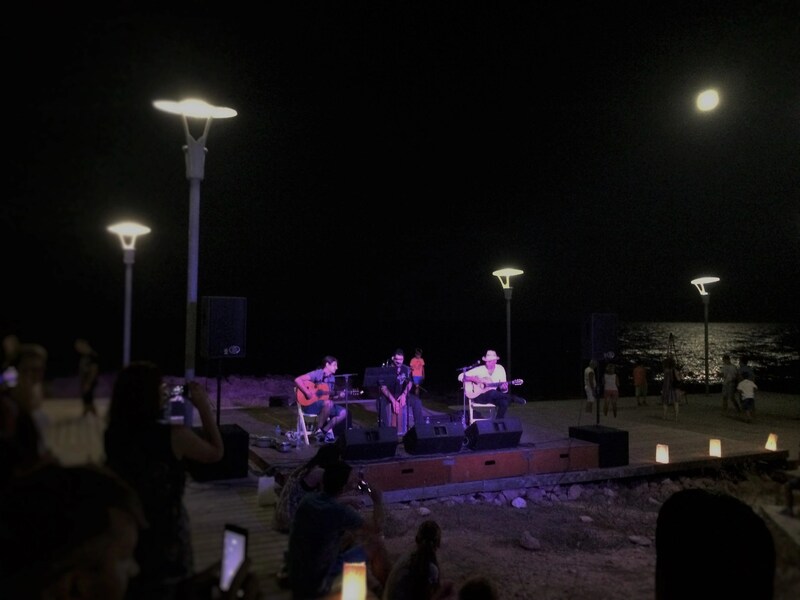 Instead of the multiple auditions that occur just to be able stand in front of Simon, Cheryl and co, this was a festival of young Cypriot talent placed strategically on the specially lit stages between 8 and midnight. There were many classy touches that made the evening a special one like a parade of white balloons placed on the beach and special stickered feet showing the masses the route to follow, but the real stars were all the artists. They ranged from violinists to solo singers; from acoustic acts to three piece bands: there was something for everyone with written introductions on each performer as you approached the act. But what set this apart from ITV’s annual singathon is that much of the music was original and played with a unique passion augmented by different distinctive voices. You can check out some of the pictures from the event’s facebook page, and, should you visit this part of the world in the future watch out for a repeat performance. Previous Article What do all the British newspapers online have against Cyprus? Next Article 21-Day Travel Itinerary Planner New Zealand – Both Islands!